Nadi Hospital received around $80,000 worth of medical equipment to improve services to their patients. 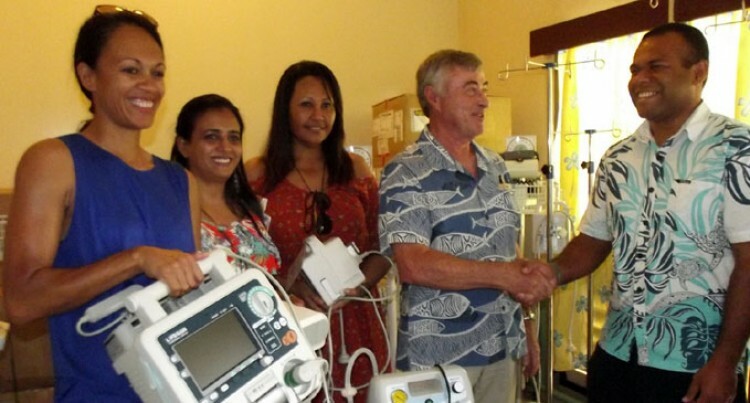 Project Bula Mai, a Fiji registered charitable trust, donated the equipment after receiving a wish list from the hospital. Trust chairman Adrian Sofield said it was better to receive a list rather than just making a donation not knowing of what the hospital really needed. “The Nadi Hospital administration gave us a wish list of what they wanted; they also gave us the names of their suppliers where we got the prices from then we paid for the equipment,” Mr Sofield said. “It is preferable that we get the list from them, rather than getting things that will not assist anyone,” he said. Mr Sofield said they were happy with the donation and hoped it would be of great assistance to the people. “We are very happy with what we have donated and we look forward to further partnership with the hospital,” he said. Mr Sofield said the equipment provided would be available to all patients not only to the paying ward. “The equipment will be accessible to all and not only to certain patients,” he said. The hospital, which receives around 80,000 outpatients with 79 to 80 per cent occupancy rates yearly believes the donation will improve their services to the people. Sub-divisional medical officer -Nadi Dr Josaia Tiko was grateful for the kind donation by Project Bula Mai. “We are thankful for the donation; we will make very good use of it and I am sure the patients will greatly benefit from this,” he said. Project Bula Mai will now look at assisting the St John Association.